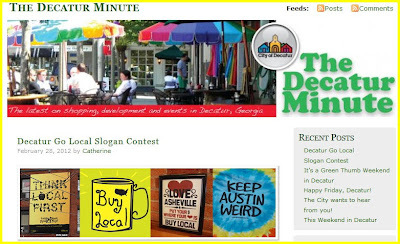 Catherine over at the decatur minute has posted about a decatur slogan contest. There’s “Keep Austin Weird,” “Love Asheville,” “Think Local Umpqua,” “Homegrown El Paso,” and so many more “buy local” campaigns around the country. How about Decatur? What slogan would sum up our city’s local love of independent businesses? How do you capture Decatur’s community spirit in just a few words? We want to hear from you! 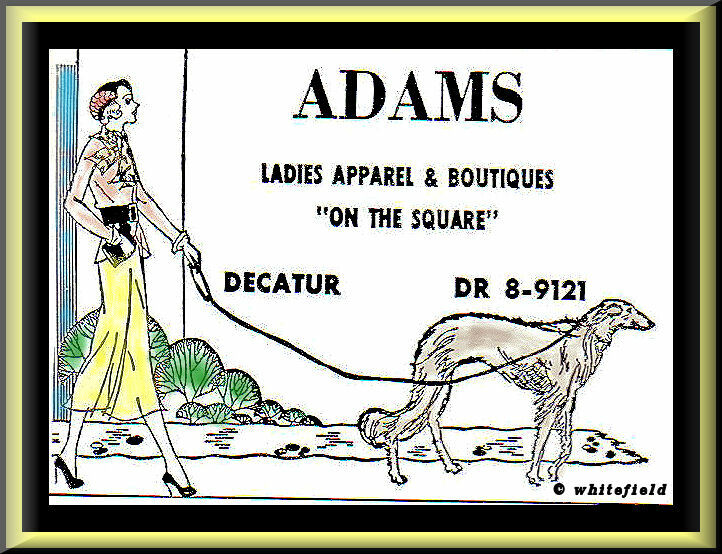 Send in a go local Decatur slogan to us, we’ll pick the best three, and put them up for a public vote online. Get creative! A polling place for early voting in the March 6 presidential primary opened Monday, Feb. 27, in Decatur and three other spots in DeKalb County. Downtown Decatur. Clark Harrison Building, 330 W. Ponce de Leon Ave., Room A, Decatur, GA 30030. 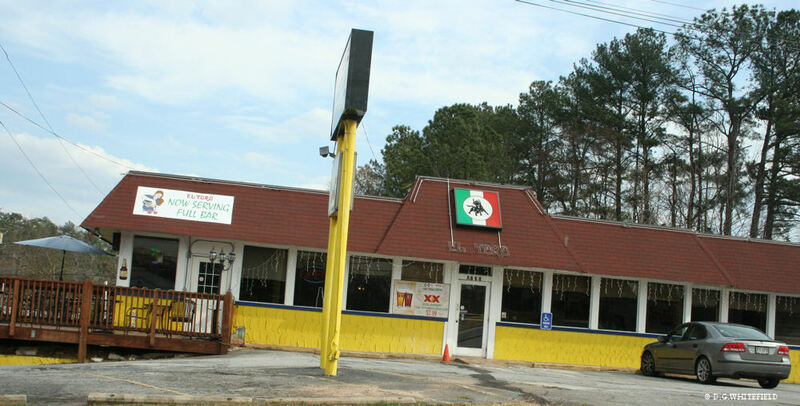 South DeKalb. Community Achievement Center Inc., 4522 Flat Shoals Parkway, Decatur 30034. North DeKalb. Chamblee City Hall, 5468 Peachtree Road, Chamblee 30341. East DeKalb. New Bethel AME Church, 8350 Rockbridge Road, Lithonia 30058. The Silver Scream Spook Show! WHAT IS THE SILVER SCREAM SPOOKSHOW? Audiences of all ages are getting the “yell” scared out of them at Professor Morte’s SILVER SCREAM SPOOKSHOW, a unique brand of eerie entertainment. 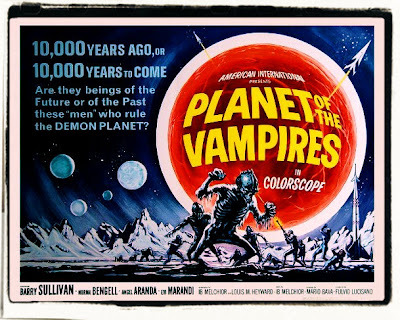 A classic horror film follows each show. 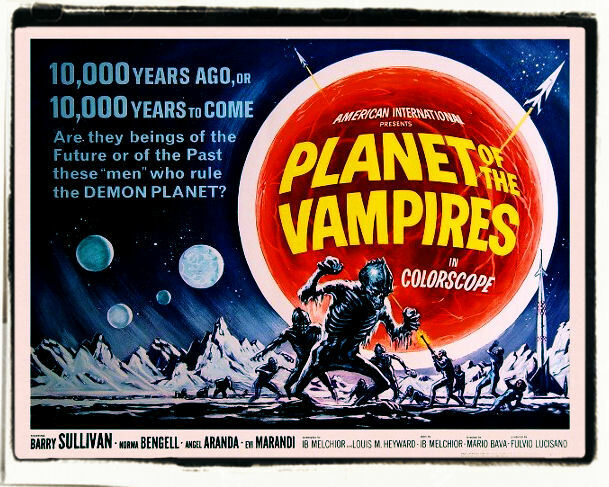 From “Frankenstein” to “The Creature From the Black Lagoon,” the SILVER SCREAM SPOOKSHOW shares its love of scary cinema with a new generation. And this monstrous double bill and interactive movie-going experience gives guests more boo for the buck! Register now for the 10th Annual Tour deCatur, set for Saturday, March 24, at Decatur High School. Sign up to run the 5K race or 1-mile Fun Run and support children and youth across the community! NEW THIS YEAR: Your favorite Decatur school or sports team can benefit from your participation in the 2012 Tour! After you register, create a personal fundraising page and invite family, friends and neighbors to sponsor you. Here’s how: Go to www.firstgiving.com/tourdecatur/2012 … click on the GREEN fundraise link at the top right … then follow the easy set-up instructions. The amount you raise is split 50-50 between your designated school / team and the Decatur Education Foundation. • Race route is here. • 1-mile Fun Run starts: 8:45 a.m.
• 5K race starts: 9:15 a.m.
• The race is part of the Decatur Active Living Grand Slam Fitness Challenge. Express bus operator Megabus is adding more routes from Atlanta, launching service to New Orleans and to Athens this year. Megabus, which launched service in Atlanta last November with routes to 11 cities, also debuted double-decker buses on some of its service in Atlanta on Tuesday. The bus operator first launched its service in 2006 in Chicago and is a subsidiary of Coach USA. Starting Feb. 29, the company will launch three daily departures from Athens, a nonstop route that will take an hour and 40 minutes from the Megabus stop at the street level of the MARTA Civic Center station, according to Megabus director Bryony Chamberlain. 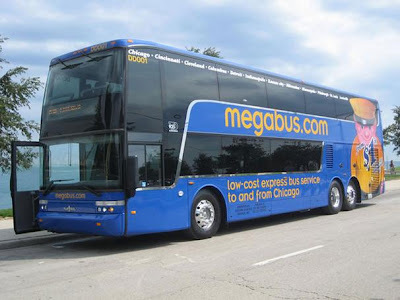 Starting April 2, Megabus will operate two daily departures to New Orleans. That route includes stops in Mobile and Montgomery and will take a total of 8 hours and 45 minutes, Chamberlain said. Fares range from $1 to $44 each way to New Orleans, and from $1 to $13 each way to Athens, depending on when tickets are purchased. Triumph has joined forces with the estate of Hollywood icon Steve McQueen to create a limited edition motorcycle that pays tribute to the late actor’s love of the British brand’s products. 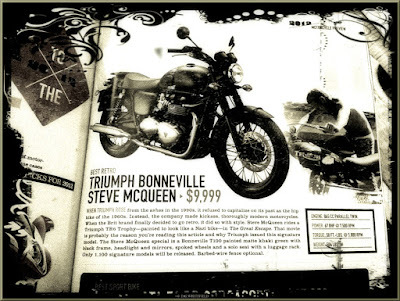 Just 1100 of the Triumph Steve McQueenTM Edition will be produced and sold worldwide from April 2012, which is likely to make it one of 2012’s most sought after bikes. McQueen was famous almost as much for his passion for cars, aeroplanes and motorcycles as he was for his legendary movies. He owned numerous Triumph motorcycles and loved to spend his spare time riding in the Californian dunes aboard his modified 1963 Triumph Bonneville. A highly accomplished rider, he also competed in the 1964 International Six Day Trial in East Germany using a factory-prepared 650cc Triumph Trophy and was reputed to have owned 138 motorcycles. Lawmakers will hold a hearing on a proposal to ban cellphone towers from school property. State Rep. Karla Drenner, D-Avondale Estates, said she plans to introduce legislation banning construction of the towers near schools because of concerns about radiation safety. The DeKalb County School District recently entered an agreement allowing T-Mobile to build towers at nine schools, eliciting an outcry from parents. The hearing is at 11:30 a.m. Tuesday in room 415 of the Coverdell Legislative Office Building, across the street from the Georgia State Capitol. Not everybody is taking a holiday on Presidents Day -- Monday, Feb. 20. The City Schools of Decatur and the Avondale Estates City Hall will be open for business as usual. 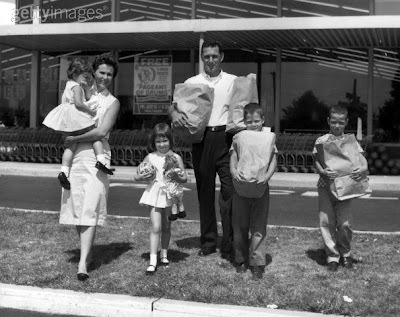 Except for banks, almost all stores operate will operate as usual. But Decatur City Hall, DeKalb County Schools, DeKalb County government and federal offices will be closed Monday to observe the holiday. In Decatur, regular garbage service for Monday, Feb. 20, will be on Tuesday. Regular service for Tuesday will be on Wednesday. For early birds, twice a month you can catch Field Trips with Sue on CBS Better Mornings Atlanta. We highlight posts from the blog and other interesting things to do. 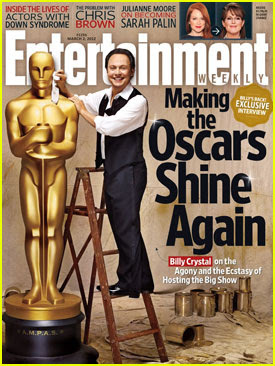 Here’s what we talked about this morning. If you’d like to see the segment, just follow the link. Get Two Old House Fair Tickets for the Price of One! Expires Soon! click here. Join us this weekend as you celebrate with that special someone, and on Valentine's Day. 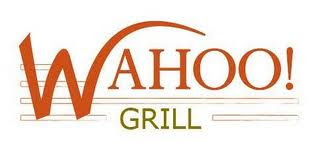 Click here to make your reservation! Decatur-based ParcLife Homes Bring old Houses back to their former Glory. Decatur-based ParcLife Homes, which specializes in purchasing distressed properties to restore them, bought the house for less than $100,000 last year. (As dilapidated as it was, DeKalb County's appraisal department pegged its value at $140,000. 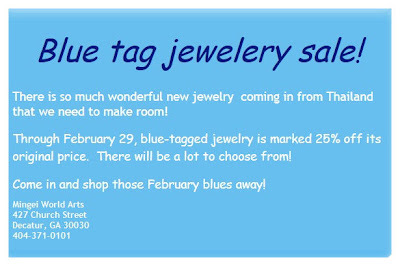 The offer will be available Feb. 14-18. Adoptions will be $60, including vaccines and other necessities. DeKalb County Animal Services will offer a Valentine’s Day Adoption Special, Feb. 14-17, 10am - 5pm and Saturday, Feb. 18, 10am - 4pm at the DeKalb Animal Services and Enforcement Center, 845 Camp Rd., Decatur. Adoptions are $60 and include spay/neuter, vaccines, de-wormer, and HW or FIV/FeLV testing. To view animals available for adoption, please visit www.dekalbcountyanimalservices.com. For additional information, please contact DeKalb County Animal Services at 404-294-3088. 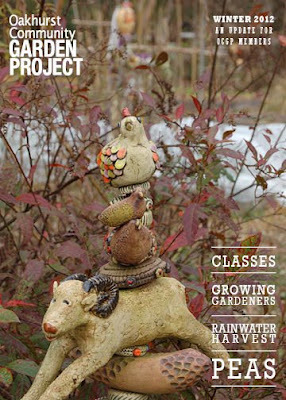 Sculpture donated by Barry Gregg Clayworks and it's on the cover of the new magazine being sent to current OCGP members. What's New at the Zu! Join us for our third annual Rail Arts District event Saturday, Feb. 11. 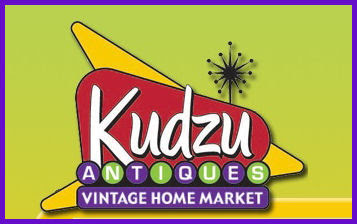 Kudzu helps to sponsor this consortium of local artists, galleries, and shops that will showcase art and artists all day this Saturday in the surrounding area. Shop, drink and dance the day away at RAD! As a part of the event, Kudzu will feature a group of local fine artists, as well as collections of Southern Folk Art including works by RA Miller, Howard Finster, Missionary Mary, and others. 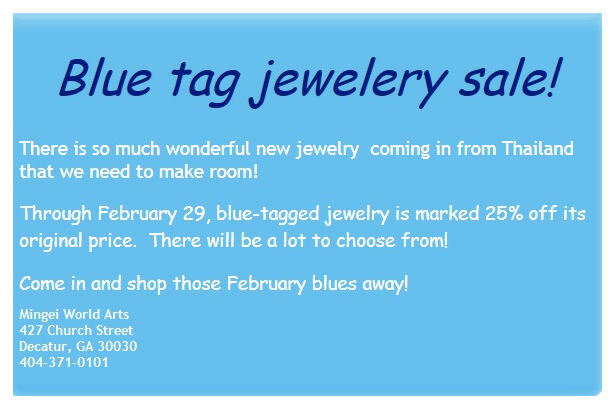 Saturday afternoon will also feature Sale Prices, Live Music, and Free Wine and Refreshments, so come on in, 'cause it's all happening at The 'Zu! For more about RAD, go to www.railartsdistrict.com . And Lots of the Unique & Unusual! When: Saturdays in April, May and June, 8 a.m. - 3:30 p.m.
All items to be collected should be placed on the curb no later than 7:30 a.m.
What: yard trimmings, building materials (that are not from the work of private contractors), tires, appliances (not containing Freon), and trash that would not normally be placed in pay-as-you-throw (PAYT) bags. Liquids, dirt, bricks, blocks, stone, rocks, concrete, and motor vehicle batteries or parts will not be collected. 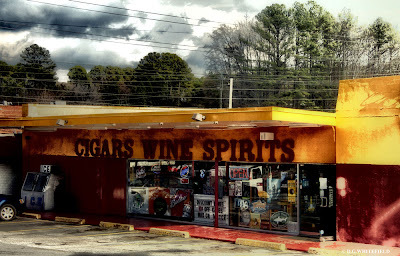 Decatur Wine & Spirits is an Atlanta-area package store providing a high-quality selection of wines, beers, liquors, and cigars. We feature a diverse selection of wines and cigars, Decatur's largest selection of beers, more than fifty single-malt Scotch whiskeys, and many other fine selections.